JDK must be installed on the system. 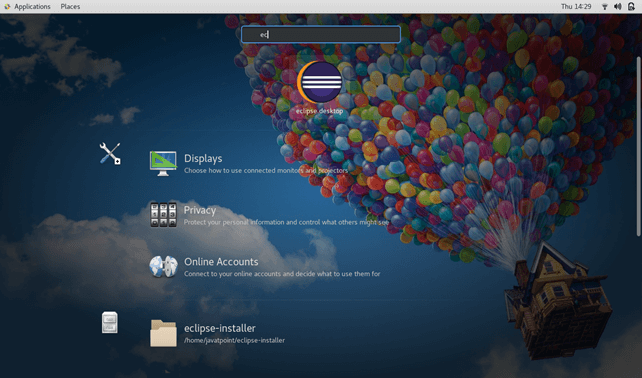 Download the latest version of Eclipse (Oxygen) by clicking the link https://www.eclipse.org/downloads/download.php?file=/oomph/epp/oxygen/R/eclipse-inst-linux64.tar.gz&mirror_id=1093. Use the following command to extract the file which is just downloaded from the internet. Use the following command to move the extracted folder eclipse into /opt. Create a desktop file named as eclipse.desktop inside /usr/share/applications/. Use the following command for this purpose. And enter the following information inside. Use the following command to install the Desktop file. 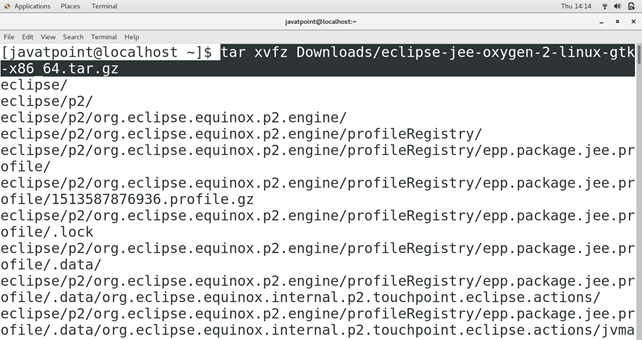 Change the working directory to /usr/local/bin and run the following command to create a symlink of eclipse there. 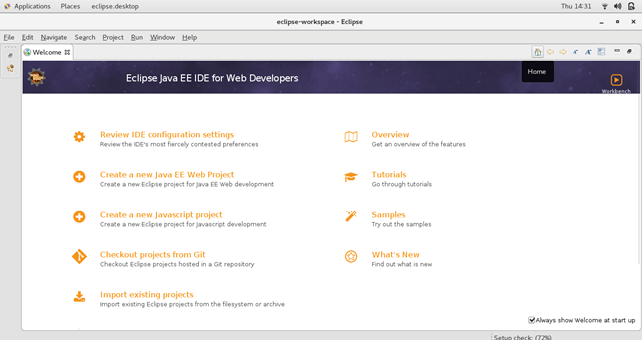 Search for eclipse in the Application directory and double click on the eclipse icon to launch the application. The welcome page of eclipse appeared when we launch the application. Hence, we have successfully installed and get started with Eclipse Oxygen.